Pair Go®, in which a man and a woman play alternate moves on the same side, has been considered a frivolous diversion. But we believe that if you actually try this system out you will find that it produces a very interesting game... Not only do you have to analyze the moves made by your opponents; you also have to read out the meaning of your partner's moves... Before the game is over, however, it is virtually certain that your partner will play some stones that will either move you to admiration or leave you perplexed, providing a zest that you would never have found in the individual game. When a one-on-one game becomes two-on-two, new elements are added, and new questions arise in the formulation of strategy. 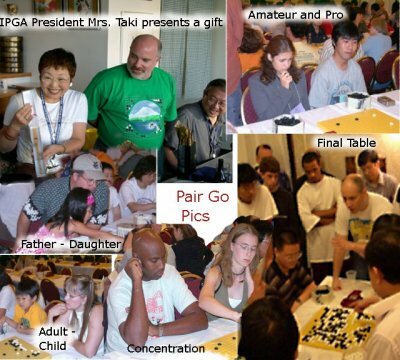 Pair Go® teams compete annually for prizes and the right to play for their country in the Amateur Pair Go Championship. It has grown rapidly in popularity since its inception in 1990. The World Pair Go Association believes that bringing more women into the game will make it more popular with all players. They also aim to introduce a social element to a game that can be a solitary pursuit. There is a growing interest in Europe, especially in Great Britain. In the US, more than eighty players participate in the North American Pair Go Championship at the US Go Congress every year. 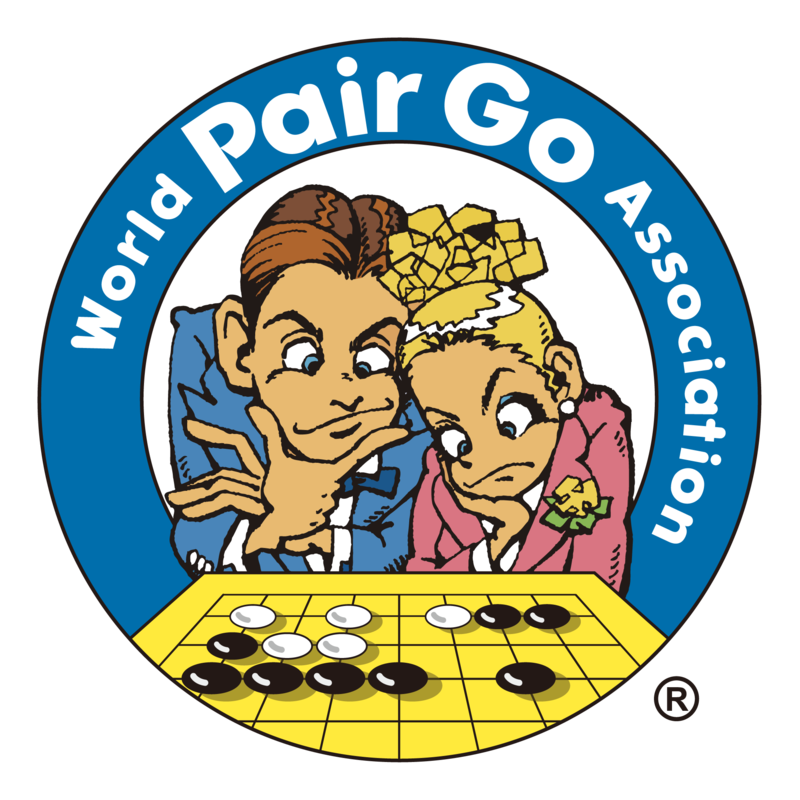 With the support of the World Pair Go Association, the AGA is expanding the presence of Pair Go® in the US with a series of sponsored regional tournaments, culminating in an internet playoff for free tickets to the US Go Congress for the North American Pair Go Championship. You can organize a Pair Go event in your community! The official international pair go rules may be found here. You may also email Susanna Pfeffer for further information. Or, use the GoPanda2 go client to play pair go—or any kind of go—on the Internet Go Server. Follow AGA Pair Go on Facebook! * Held at the Beijing World Mind Sports Games.